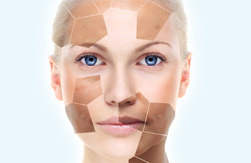 Through the pioneering combination of Low Level Laser Therapy with Microdermabrasion, W SkinCare’s highly trained medical estheticians are able to smooth the appearance of fine lines, replenish and protect the skin’s moisture barrier and effectively target accumulated environmental damage from life’s daily routine. W SkinCare clientele enjoy increased elasticity, radiance, and skin tone, however, the W SkinCare trademark is a dewy, vibrant glow that comes about naturally from skin at it’s healthy optimum. Low Level Laser Therapy (LLLT) is a revolutionary treatment for reducing the visible signs of aging and maintaining optimum skin health: a game changer in the skincare industry. W SkinCare’s Swiss-patented technology is completely non-invasive and by its nature, cannot induce thermal charges in skin tissue. During treatment, a coherent beam of light is paired with Swiss-made phyto-botanicals and sculpted along the face in a very relaxing circular motion. LLLT replenishes and protects the skin’s natural moisture barrier, is great for dark circles and over time, can reduce the appearance of fine lines and wrinkles. LLLT will leave your skin supple, radiant and youthful in appearance. Ask us about our Hollywood 6 series treatment. Notice an immediate difference, resulting in a softer, smoother, glowing complexion. 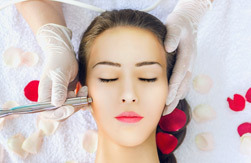 Microdermabrasion is a quick and painless treatment that combines vacuum suction with tiny abrasive crystals that polish away the uppermost layer of skin. This process eliminates roughness and accelerates the proliferation of new skin cells. It also creates a pathway for which newly stimulated collagen can migrate upwards through the face following Low Level Laser Therapy. 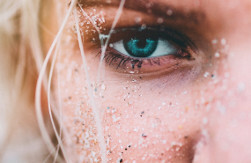 Microdermabrasion is good for age spots, surface pigmentation, fine lines and wrinkles, sun damage, oily pores, black and white heads, and acne scarring. This procedure is also highly recommend for heavy make-up users. Shifting the sands of time. Remarkable skin renewal benefits: treats wrinkles, loss of elasticity, lack of radiance, hyper pigmentation, acne and other skin imperfections. No downtime or interruption to schedule. Post treatment skin is neither red nor dry but radiant and beautiful. Customizable for individual needs. Loosens and lifts off top layers of dead skin, clearing the way for fresh young cells to shine through. Diminishes lines and fades pigmentation. Aids in hydration and balancing the complexion. Helps reduce the size of pores even for the most sensitive or inflamed skin. Melanin inhibitor lightens pigment spots and skin discoloration. Glycolic, Kojic, Lactic and Salicylic available. High frequency pulse treatments individually applied to ensure quick and effective application with minimal discomfort and downtime. Broken Capillaries (Couperose), is a common condition involving the circulatory system. 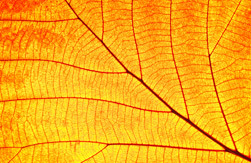 When stress is put on the capillaries it causes the blood vessels to enlarge or distend. The condition manifests as diffused redness on the nose and neck, creating a noticeable red flush. Couperose treatments specifically target these vessels on the face while minimizing treatment-induced side effects.